Overall fit: Your chaps should fit snugly around your waist, not your hips. This means no low waisted jeans. Through the hip and thigh, they should be snug and smooth, comfortable to sit and ride in, but you want to minimize gaping in this area. Through the knee and calf, you want them to (SURPRISE), be snug! But because of your knee needing to be able to move, and they need to lay over your boot top well without showing every detail of your boot top. What to wear underneath? 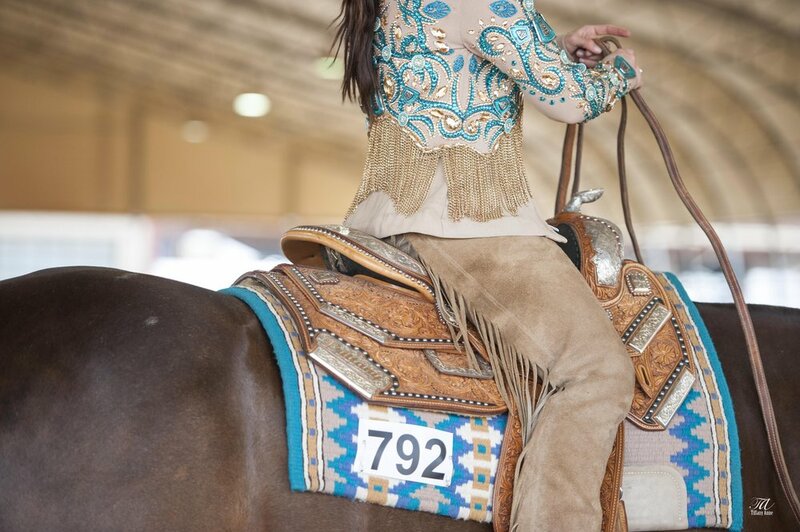 Blue jeans are typically acceptable for most open classes; however, most will turn to Black Betty Jeans, from Kimes Ranch, or a pair of horsemanship pants. One thing to keep in mind, if your jeans are baggy, there might be bunching underneath your chaps, so keep them fitted. Color: Don’t be afraid to step out of the box and mix up your look. But make sure that the color of the chaps is not offensive to the rest of your outfit. The bottom line with chap fit is make sure that they fit well, and are tasteful. 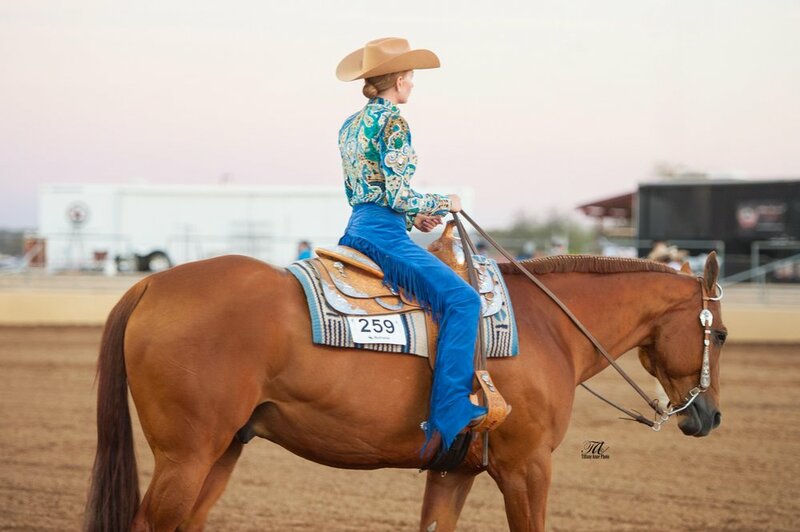 Well-made chaps will go a long way in complimenting your body, and your horse.